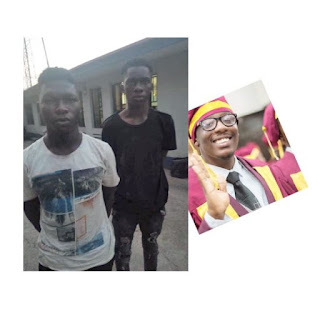 Here is the face of the two suspected robbers arrested, yesterday, for killing a medical graduate of the University of Lagos, UNILAG, Dr. Stephen Urueye, on Thursday, at Idi Araba, Lagos. 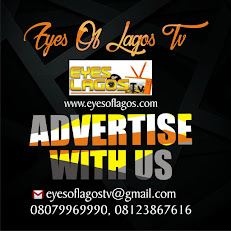 Urueye, who convoked on Wednesday at UNILAG, was stabbed to death at the gate of the Lagos University Teaching Hospital, LUTH, on Thursday. Students and doctors at LUTH protested vehemently against the killing on Friday and demanded that justice should be done. However, the police said two suspects, Gbadebo Jimoh and Malik Adeboye, were arrested on Friday by operatives from the Itire division.